Lau Ywen first picked up a fencing foil at the age of six simply because she wanted to join her older sister in the sport, having watched Ysien start off two years earlier. “I knew that I was quite good in Singapore, but I didn’t think I would go that far,” she told Yahoo Singapore last Friday at the sidelines of the Singapore Olympic Foundation (SOF)-Peter Lim Scholarship awards ceremony, where she was a recipient. In this case, “far” refers to her historic triumph at the Cadet & Junior World Fencing Championships a month earlier, where she won the women’s cadet individual sabre event. The 16-year-old beat three of the world’s current top five under-17 sabre fencers - Asian champion Risa Takashima (quarter-final), European champion Liza Pusztai (semi-final) and Larissa Eifler (final) - to clinch Singapore’s first world title at any level. The achievement catapulted Ywen (pronounced Yi-wen) to overnight fame here, although her potential has been long evident since she switched to the sabre at 11 on her current coach David Chan’s advice. She made the national team at 12 and two years later, became the first ever local to reach the quarter-finals at an Asian Fencing Championships. At 14, Ywen was also the youngest fencer to ever do so at any FIE (International Fencing Federation) zonal competition. A top 12 finish at the 2014 Asian Games as the youngest competitor was followed by two bronzes (individual and team) at the SEA Games last year. She came close to the Asian cadet title in February this year, losing to Takashima in the final. 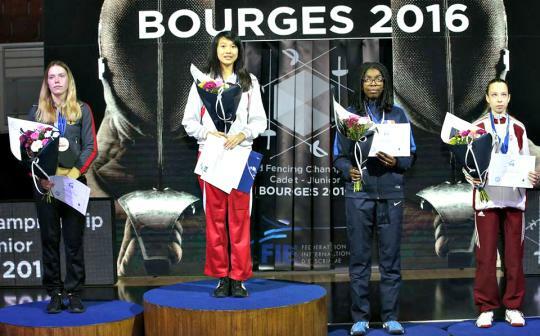 The world triumph in Bourges, France, has more than made up for losing out on the Asian cadet title and the teen has already set her sights on becoming the first Singaporean fencer to qualify for the Olympics. While Wong Liang Hun and Tan Kim Huat represented the Republic in 1992, there was no qualification required then. When Ywen adds that she is considering taking a gap year after graduation to focus on fencing, that is when you realise again that Singapore’s top-ranked sabreuse is still barely a teen who juggles training five times a week with Year 10 studies at the United World College of South East Asia. There is “not much free time” as a result, but that helps her to procrastinate less and be more efficient. Of course, her passion for fencing helps her cope too. “I do enjoy fencing so it doesn’t feel like I have no time, but that my free time is [instead] spent on my sport,” she said. Ywen speaks rapidly but with confidence, which is surely partly borne from her experience in the most fast-paced of the three fencing categories. She speaks with maturity beyond her years too, when she explains how the desire to do her best keeps her during tough times. “I am not a perfectionist,” she clarified, “But every athlete wants to win and do their best. And when you are confident in your own ability and enjoy the sport, you will fight to do it just because you love the sport that much. Competing at junior (U20) and senior level has helped Ywen improve and she was satisfied to reach the round of 32 in the junior competition in France, where she lost to Caroline Quéroli in a field that contained Olympians and former champions. The latter went on to claim her second straight title. 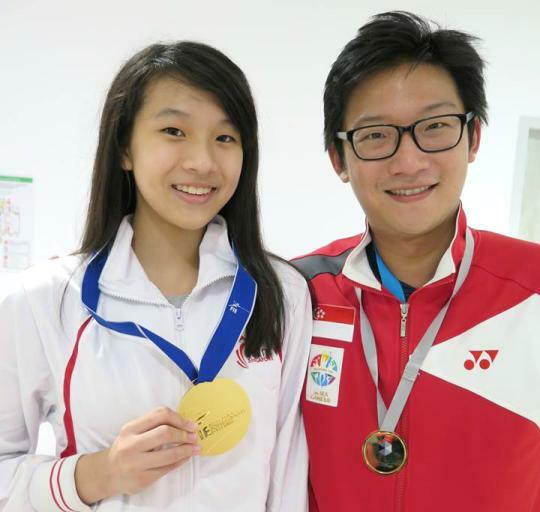 Ywen is in no hurry to transition to the senior level completely yet, indicating that she will continue to compete at U17 and U20 competitions until she turns 21 as she wants to “grow” with her age category. A 2017 SEA Games medal is a target, though she did not specify the colour. She also expressed confidence that fencing is “definitely growing” here, with encouraging results at the SEA Games and also continental and world level, evidenced by top-eight finishes for cadet foilists Amitha Berthier and Ryan Ong in France.